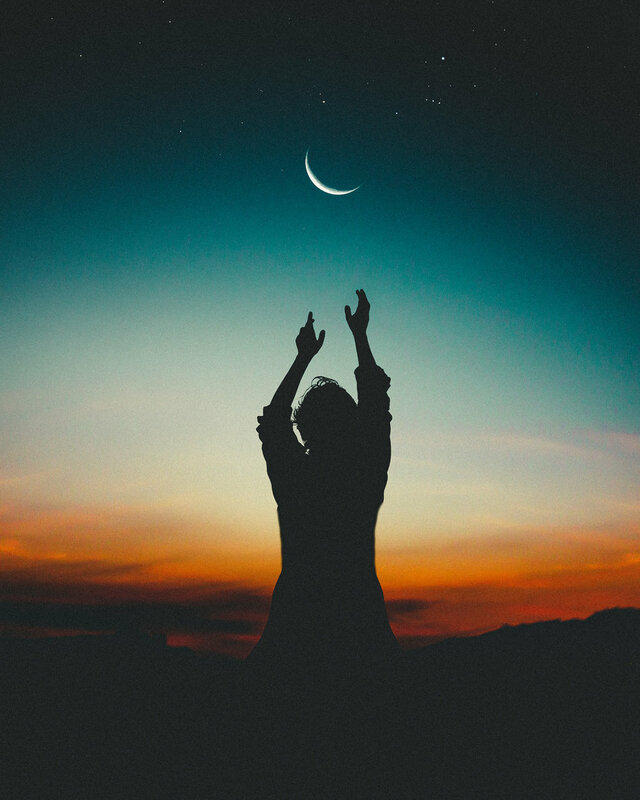 Through this deeply relaxing and meditative class we will connect with the energy of the moon, become more aware of how it shows up in our daily life and most importantly learn to harness it's natural cycle and flow. These classes will be accompanied by the sacred sounds of chimes and tibetan singing bowls to aid your relaxation and to enable your body to return to its natural flow and harmony. The moon or Yin aspect of our being is all about allowing, harnessing and invoking the feminine aspect of our divine nature. The moon by it's very nature simply reflects the light of the sun (our masculine or yang aspect), yet it illuminates the sky at full moon when it comes into it's wholeness. Within this class we will work with the full and new moons- learning to harness their energy to support us in our daily lives. Through the use of a variety of different tibetan or himalayan singing bowls both on and around the body the resonance and vibration is absorbed on a physical, emotional, thought and energetic layer. Sound moves through the koshas and gently yet powerfully moves all layers of your being into a space of deep inner harmony through which healing can occur. Please note this class is NOT suitable for people with a pacemaker, inflammation, advanced stages of cancer, cancer tumours, metal implants, having had surgery within 3 months and in the first trimester of pregnancy. 4 class term costs €55, or drop in classes are €16 (space dependant). Places must be pre-booked & pre-paid, either in full or with a €20 deposit, with balance of €35 due on the first night. Payments can be processed by Paypal or through contacting Laura on 085 8225450 for other payment options. Classes take place at River Holistic Centre in Raheny.